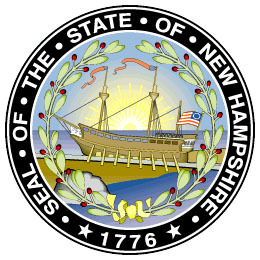 (Dave Solomon, Death penalty repeal passes NH Senate with veto-proof majority, New Hampshire Union Leader, April 11, 2019; Kate Taylor and Richard A. Oppel Jr., With a Death Row of 1, New Hampshire Is Poised to End Capital Punishment, The New York Times, April 11, 2019; Mark Berman, New Hampshire, after failed attempts, looks poised to abolish the death penalty, Washington Post, April 11, 2019; Savannah Smith, New Hampshire lawmakers vote to repeal death penalty with veto-proof majority, NBC News, April 11, 2019; Holly Ramer, The New Hampshire Senate has voted to repeal the state’s death penalty, sending the bill to Republican Gov. Chris Sununu, Associated Press, April 12, 2019.) See Recent Legislative Activity.